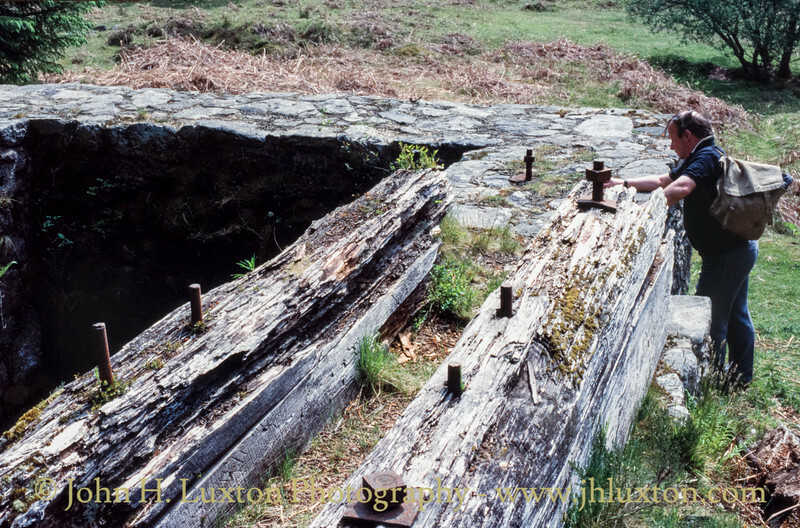 Tin mining at Golden Dagger is first documented in 1809 when stamping mills are depicted on the Ordnance Survey first edition map. The mine was particularly active from 1835 to 1860, however, it was not until the 1850s that the mine became known as Golden Dagger Tin Mine. Golden Dagger mine took its name from a prehistoric Gold and Amber handled dagger that was found nearby. 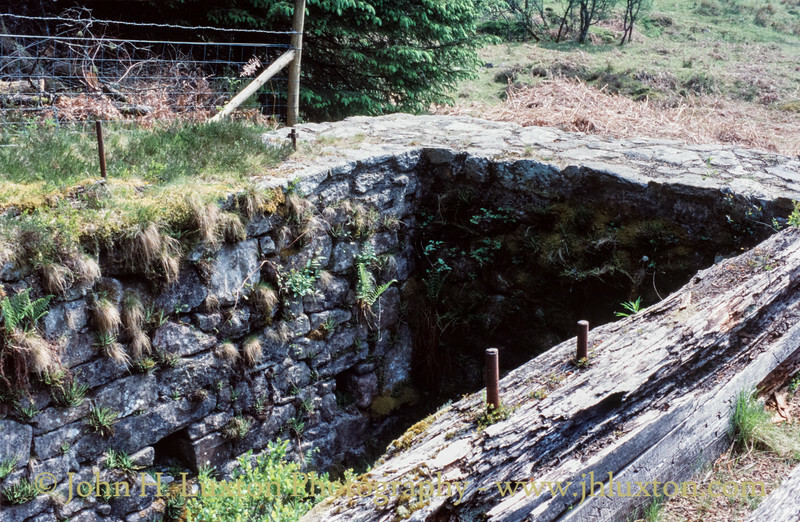 By 1892 the mine employed 41 people. Underground production ceased at the outbreak of the First World War in 1914. Work recommenced following the end the war but this was limited to the reworking of waste heaps within the confines of the Redwater Valley floor. 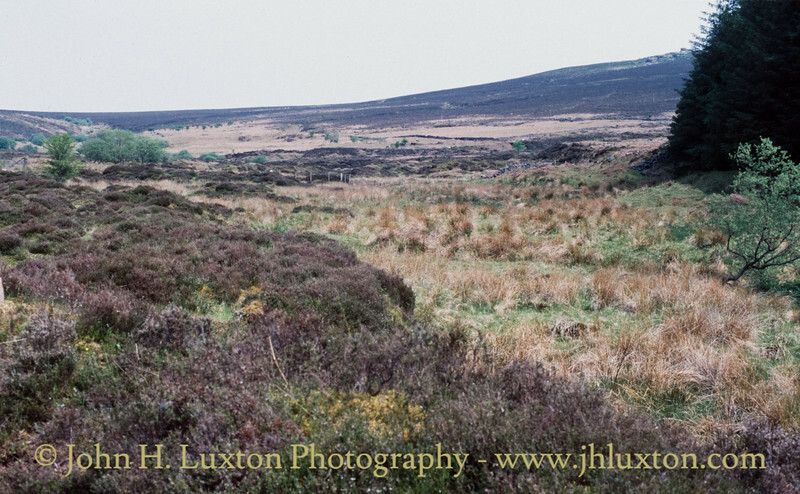 overwhelmed by bog, scrub growth and conifer plantation after operations came to an end around 1930. The lode worked by the mine extends east to west across Soussons Down and its course is marked by a deep and narrow openwork extending between Redwater and Walla Brook. All of the 19th century underground activity is located within or close to this working. A number of adits and shafts exist within the openwork including the Machine Shaft which has a wheel pit sited adjacent to it. The mine was served by four dressing floors and several ancillary buildings. 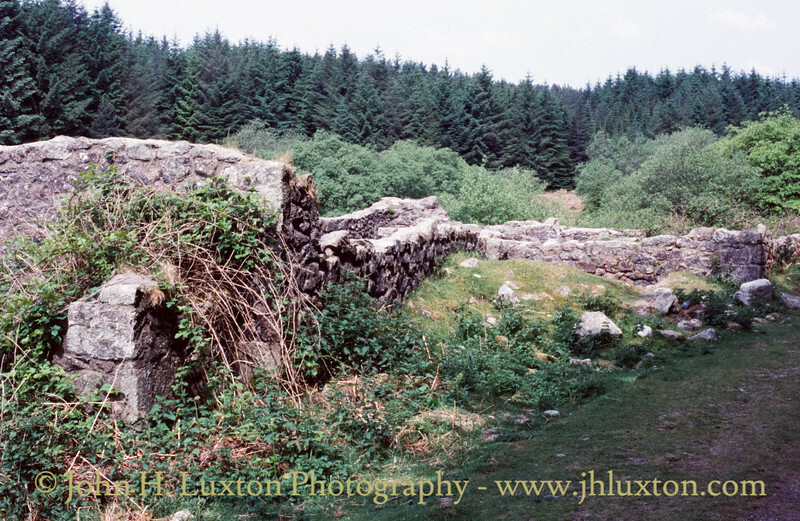 Broken Ground - believed to be the site of alluvial workings. 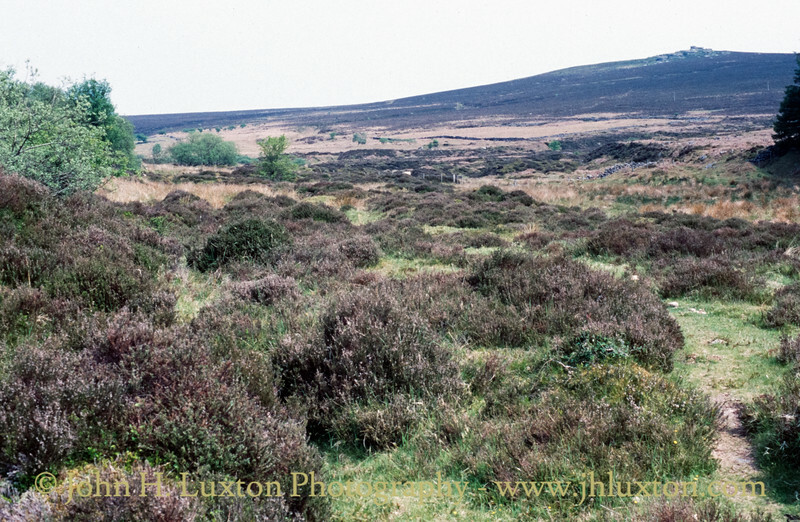 Birch Tor can be seen in the background. The other famous mine in the area - Vitifer is nearby. 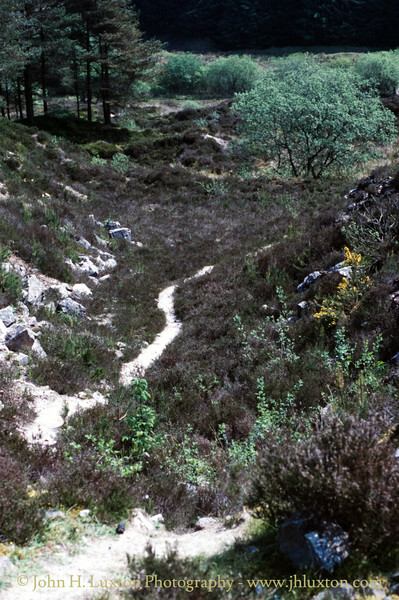 Broken Ground - believed to be the site of alluvial workings. 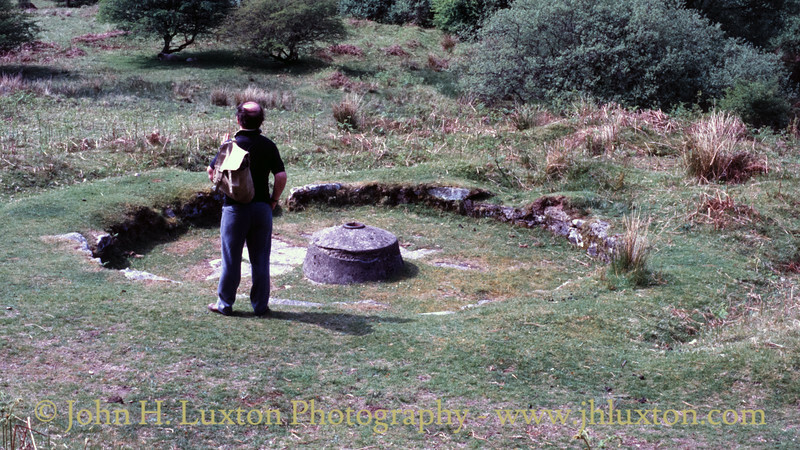 My father inspects the stamps waterwheel pit giving an impression of how large this wide waterwheel was. Tail race from the stamps waterwheel. 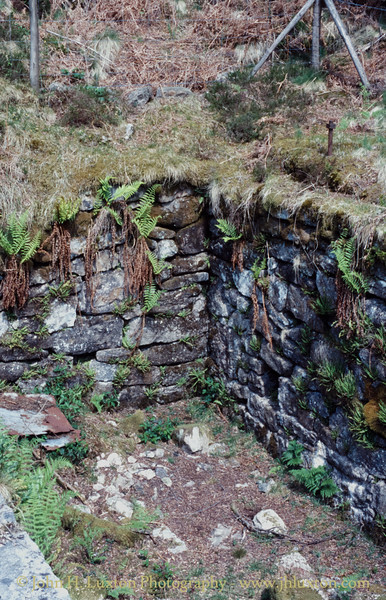 Remains of Dinah's House - The Mine Manager's House and adjoining bunkhouse. 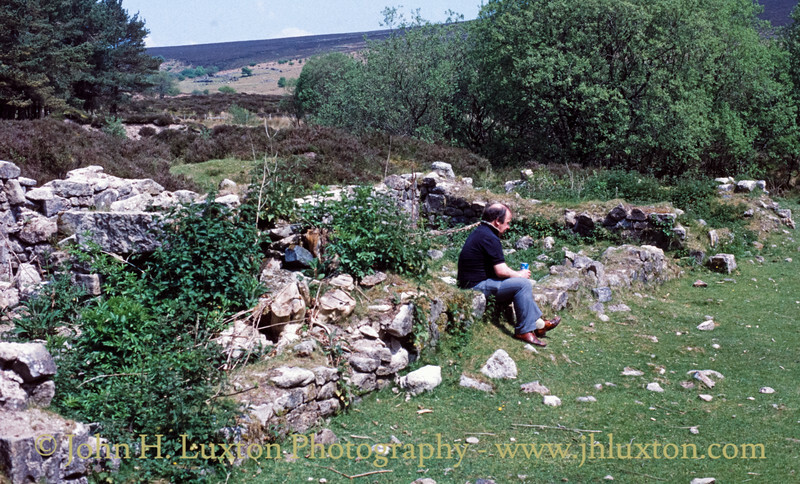 When the mine was in operation the tree plantation did not exist and the site was significantly more bleaker. 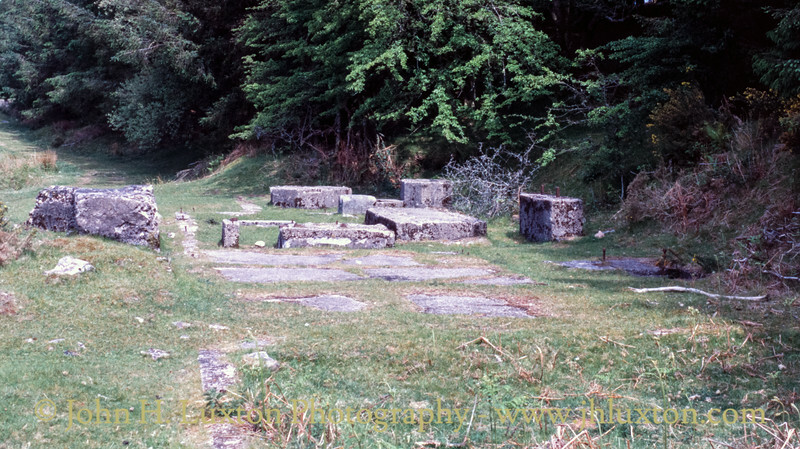 The engine house foundations for the generating plant. 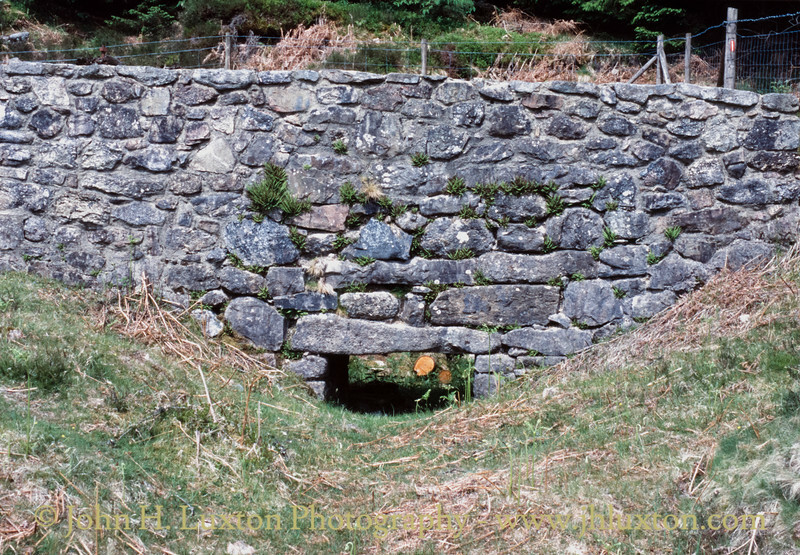 A well preserved buddle at Golden Dagger Tin Mine.